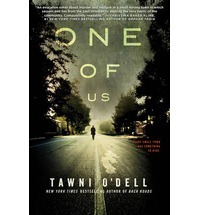 I was intrigued by this new one from Tawni O’Dell based on one of her previous books I enjoyed, Back Roads. And I must say, as much as I liked Back Roads many years ago, this latest venture was even better for me. Danny Doyle is a famous forensic psychologist who’s been involved in some very well-known cases. When he returns to his home town to check up on his elderly grandfather, he unwittingly becomes caught up in another mystery, this one seemingly spanning several generations. Deep in the heart of Pennsylvania coal country lies the mystery of not only the latest murder but also unsolved murders from Danny’s past. This was an intriguing story for the mystery aspect alone. It’s very much a police procedural story but so much more. The author tells a great story, and her descriptions of backwoods Pennsylvania are hauntingly beautiful. It was dark and mysterious enough to keep me interested and will appeal to anyone who likes a good mystery. This is good news. I got three books together with this one; the others didn’t seem to match the hype. Glad to see a lot of positive reviews on this so far.